The Scion range also includes an attractive coupe-styled hatchback. The front-wheel-drive tC coupe has seating for five and a large hatchback for hauling. A large-displacement 2.5l four-cylinder engine rated at 179-bhp is the standard engine. Buyers can choose between a six-speed manual or automatic transmission. 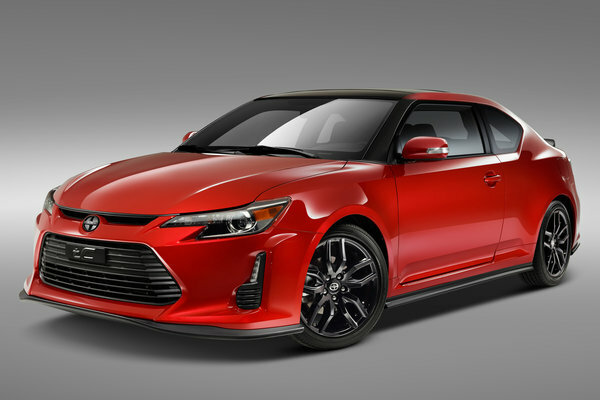 The Scion tC is well-equipped and its no-haggle price includes 18-inch alloy wheels and 225/45R18 tires. Priced from $20,000, the tC is a good alternative to other compact coupes like the Honda Civic. Scion vehicles are typically offered in one trim level with fixed no-haggle pricing. Optional items like upgraded stereos, performance parts or trim upgrades are exclusively available through the dealer.